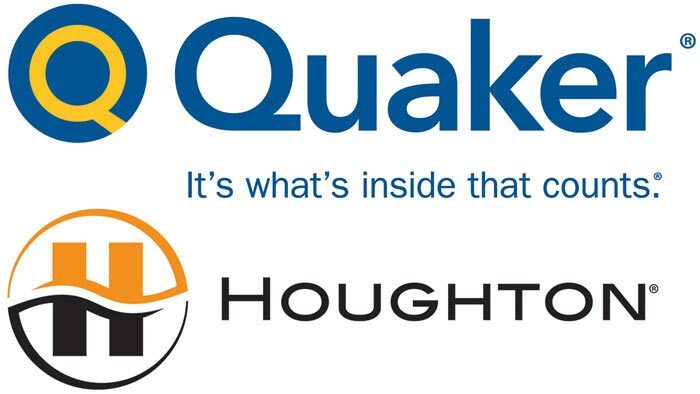 The European Commission has approved, under the EU Merger Regulation, the acquisition of Houghton by Quaker Chemical, both producers of industrial lubricants. The decision is conditional on the divestment of Houghton’s European Economic Area (EEA) businesses related to certain lubricants used to produce steel and aluminium. Quaker Chemical and Houghton are both active globally in the development, production and marketing of industrial lubricants. In particular, both companies are active in the supply of rolling oils. Rolling oils are particular types of metalworking fluids used in the production of metals, such as aluminium and steel. They are specifically designed for the particular metal being produced (for example, aluminium or steel) and the rolling operations involved in the production process (hot rolling or cold rolling). These products play a critical role, since they have a direct impact on the quality of the metals produced. Customers of rolling oils produce aluminium and steel for various industries, including automotive, aerospace, and food and beverage. The Commission was concerned that the takeover, as originally notified, would lead to a loss of competition in the markets for the supply of certain rolling oils in the European Economic Area. In particular, the Commission’s market investigation found that the EEA markets for the supply of (i) Aluminium Hot Rolling Oils (AHRO), (ii) Steel Hot Rolling Oils (SHRO), and (iii) Steel Cold Rolling Oils (SCRO) are highly concentrated, and that Quaker and Houghton closely compete in these markets. These rolling oils are based on complex product formulations, which are adjusted to the specific needs of the mills where they are used. Therefore, it is particularly difficult for customers to switch suppliers and the barriers to entry are high. In light of these elements, the Commission considered that the proposed acquisition would have likely led to higher prices and reduced the quality of the products and services provided to customers. To address the Commission’s competition concerns, Quaker Chemical offered to divest Houghton’s EEA businesses for AHRO, SHRO and SCRO. Quaker Chemical has chosen to divest all EEA product formulations (formulations are customer and often plant specific) to Total SA, of France, on a global basis. The Commission will still assess whether Total has the ability (i.e. expertise, financial resources etc.) and incentives to be an active competitor of the merged entity on a lasting basis. The remedy package includes all the necessary assets for Total to operate the business, as well as the transfer of the required technical and commercial personnel. In parallel, the merged entity will get a licence-back to use the divested formulations outside the EEA. These commitments fully remove the overlap between Quaker Chemical’s and Houghton’s activities on the markets where the Commission had identified competition concerns. Therefore, the Commission concluded that the proposed transaction, as modified by the commitments, would no longer raise competition concerns. The decision is conditional upon full compliance with the commitments. Quaker Chemical Corporation, headquartered in the U.S., is a global provider of process fluids, chemical specialty products and technical expertise to a wide range of industries, including steel, aluminium, automotive mining, aerospace, tube and pipe, cans and others. Global Houghton, Ltd., headquartered in the U.S., is a global provider of specialty chemicals, oils and lubricants. It serves a wide variety of sectors, including steel, aluminium, aerospace, automotive, food and beverage, machinery and equipment, and others. The transaction was initially notified to the Commission on 2 February 2018 and subsequently withdrawn. The transaction was notified again to the Commission on 19 October 2018. From the moment a transaction is notified, the Commission generally has a total of 25 working days to decide whether to grant approval (Phase I) or to start an in-depth investigation (Phase II). This deadline is extended to 35 working days in cases where remedies are submitted by the parties, such as in this case.